7 Scenes From The Independent ..
Huzzah! Frinkiac is probably the best website on the internet right now. 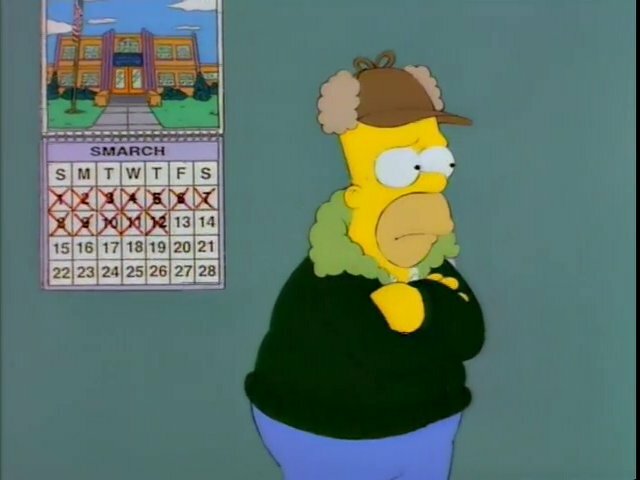 When it surfaced in February this year, the world marveled at its deep catalog of well over one bajillion Simpsons stills and its ability for users search the series’s twenty-eight years of quotables. The site sort of just appeared overnight, without explanation, and is amazing. 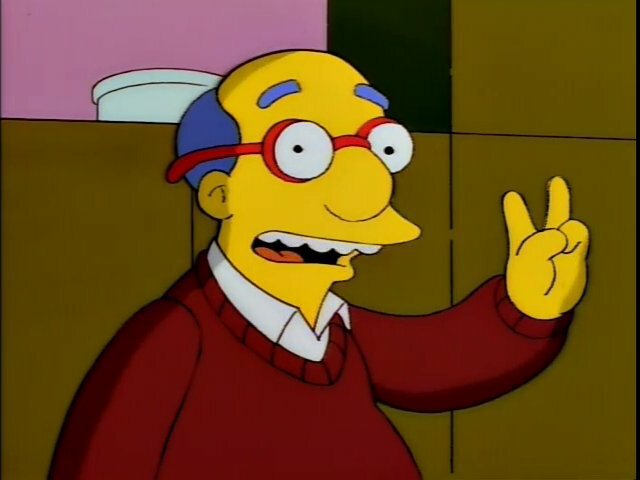 How did we, the people who make Sprudge and are completely obsessed with golden era Simpsons (Seasons 1-10), ever live in a world without it? 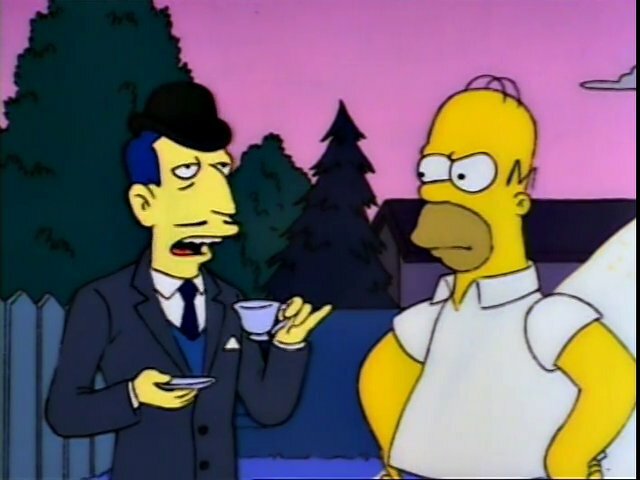 And now, the great Frinkiac hast made itself 1000% more incredible by allowing users to create Simpsons gifs instantly. Hooray! To celebrate, I spent the better part of a beautiful Portland afternoon indoors creating fifteen coffee-related Simpsons gifs. And I’d do it again. Very early in the series, in 7G03, we see Homer Simpson busy at work eating doughnuts and drinking coffee. In 7F20, back when Grandpa was more lucid and could be trusted to look after children (long before he’d go days without his pills or wolves were after him), he reluctantly gave the kids coffee while Homer and Marge sought counseling. Let’s not forget that scene in 3F04 (Treehouse of Horror VI, which might be my favorite) when Bart, Lisa, and Maggie try to stay awake by drinking caffeinated beverages so the ghost of Groundskeeper Willy doesn’t kill them in their dreams to exact revenge for his untimely death at the Smarch PTA meeting (Mr. van Houten had the floor, and did not like the idea of Milhouse having two spaghetti meals in one day). Here’s that time in episode 4F24 when Lisa, much to Bart’s chagrin, is appointed the babysitter while Marge and Homer leave for an evening at the South Street Squidport. 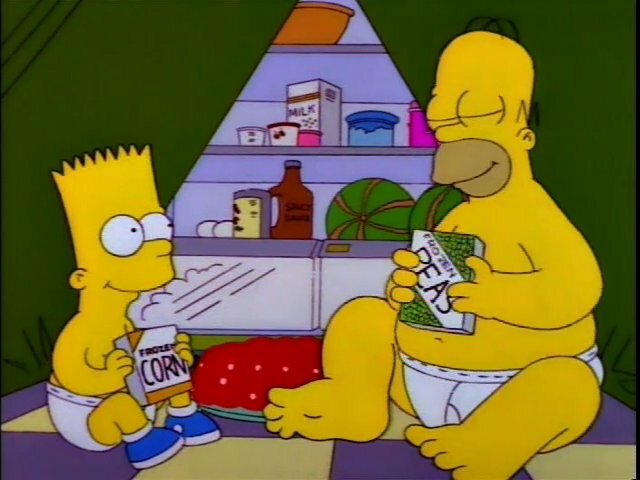 Bart retaliates by being awful, which includes feeding baby Maggie coffee ice cream. Later in the same episode, Lisa coaxes Maggie down from the shower curtain rod, whilst Bart orders an extra-vinegar twenty-five foot sub and organizes an impromptu AA meeting. 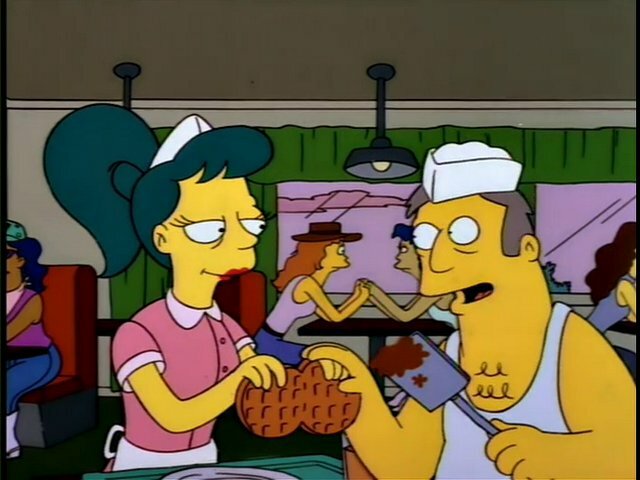 All Marge wanted was a cup of coffee when the Simpsons visited Australia in 2F13. All Australia has is beer. 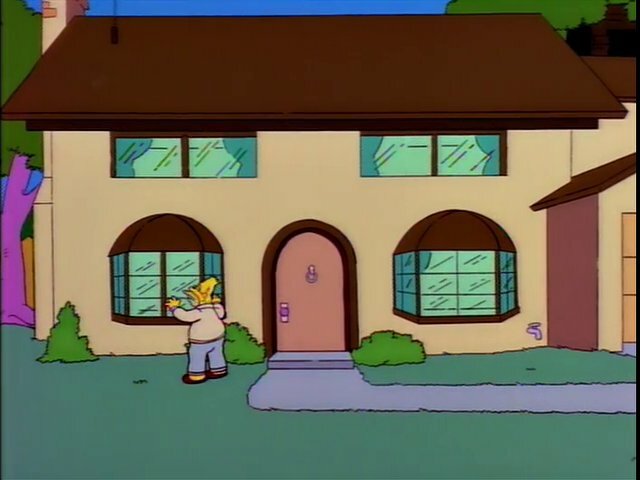 At the end of episode 4F05, Mr. Burns’ estranged son Larry (played by the late and wonderful Rodney Dangerfield) reveals that not only does he have a wife and kids back home, he’s been missing for a week. It was the best of times, it was the blurst of times. 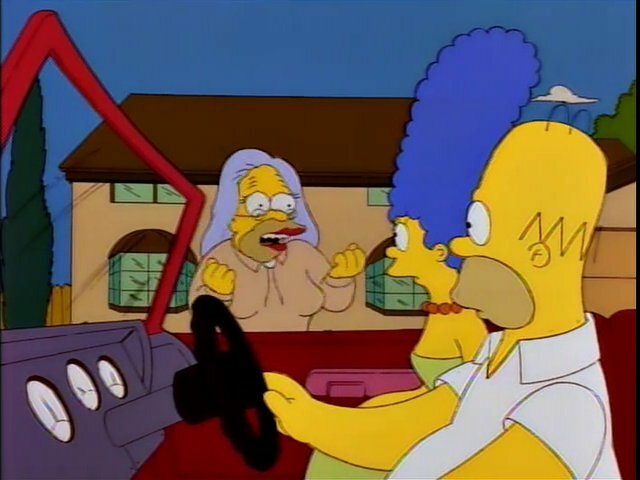 Lisa needs braces (dental plan!) in 9F15, and Homer finds himself in the middle of a union strike. SNPP boss Mr. Burns tries to talk Homer into a back-door deal, but Homer shouldn’t have had all that beer, coffee, and watermelon. 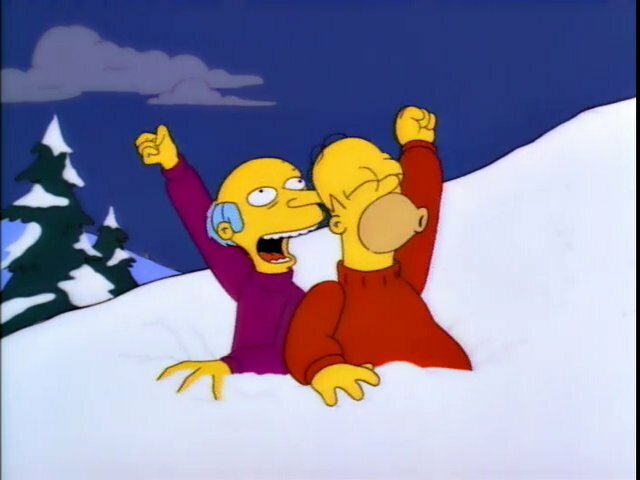 Later in the episode Homer realizes his union buddies are always patting his bald head for luck and pinching his belly to hear his girlish laugh, not because they like him. So Homer punches Lenny in the back of the head. Salisbury soup again?! Nelson Muntz gets his hands on some weak coffee from the teacher’s lounge in 4F24. 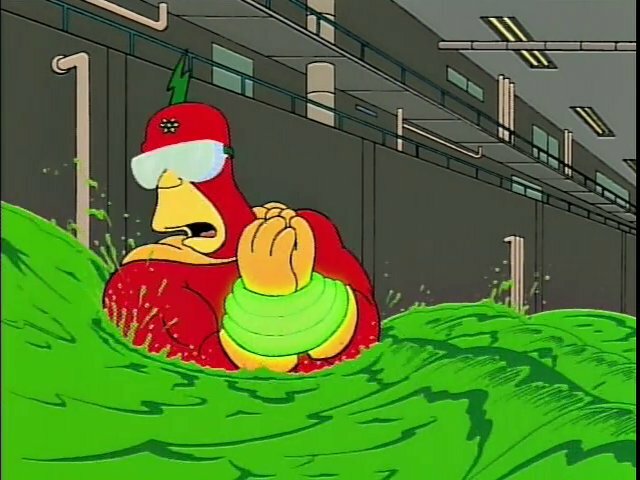 From episode 2F17, when that one shot that cost a million dollars was ruined because Milhouse didn’t show up for his call time and Rainier Wolfcastle was severely burned by a vat of real acid (ze goggles did nussing). In this four second quick take that was cut in syndication its clear that Krusty is more concerned about his coffee. 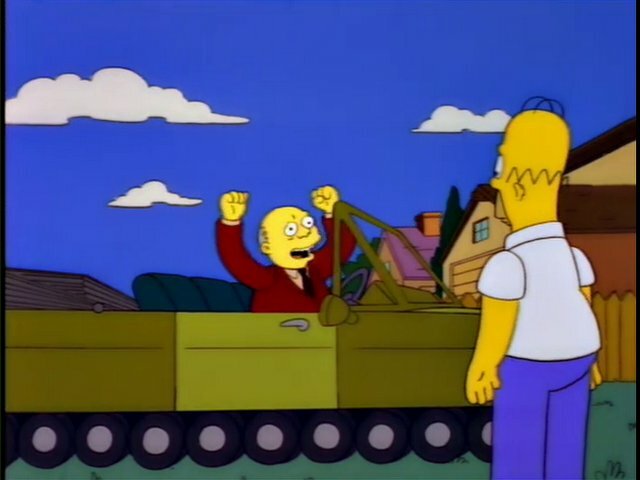 In 4F10, the promise of a new day was enough exhilaration for Mr. Burns, but it wasn’t long before he needed a little boost. And finally, here’s a lovely exterior of a coffee shop in 1F03 (not to be confused with the truck stop where the waffles stick together ’cause that’s what good waffles do). Marge becomes dear friends with new neighbor Ruth Powers at Jittery Joe’s Coffee Shop. 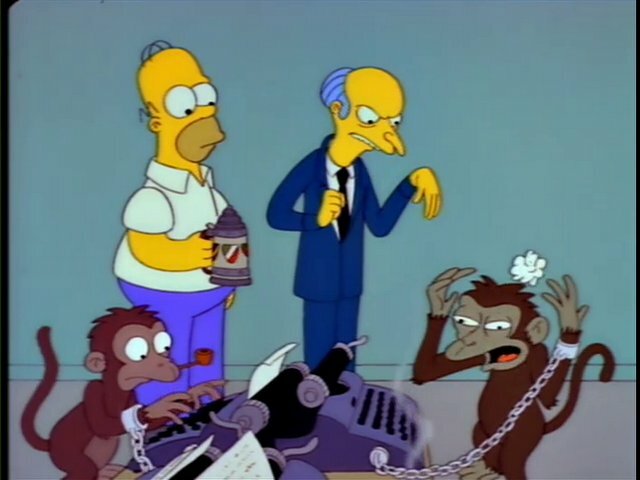 Frinkiac creators, my hat goes off to you.